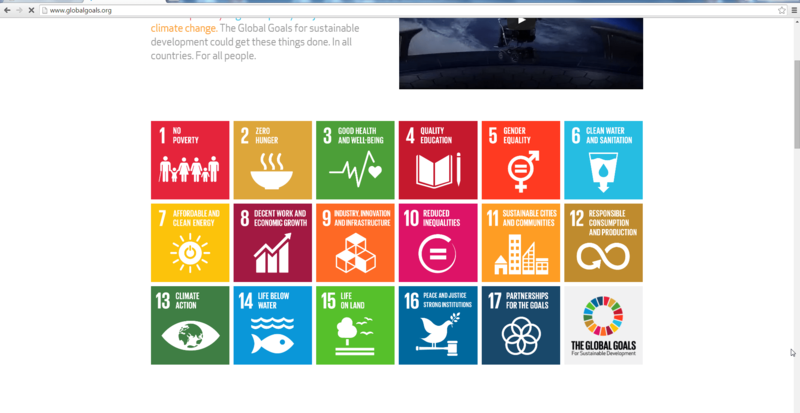 On September 25th 193 world leaders met to commit to the Global Goals for Sustainable development. Can we talk about this in our lessons this week? Could pupils work with dictionaries as a starter activity translating two or three of the goals? Have you heard about the world’s largest lesson? Some texts we might wish to use in class are too difficult and too long; careful planning can mean that we can shorten texts and use Group Talk strategies to incorporate some very meaningful themes in our lessons. It is interesting, for example, that teaching activities such as Just a Minute feature on the debating resource section of Education Scotland. In the CfE Briefing 14: Curriculum for Excellence – Political Literacy is defined as ‘the means by which citizens make informed choices about the kind of society they want to live in…’ It is suggested that contemporary events should be used to promote political literacy. Does this fit well with our curriculum area? What do you think? Although we are still waiting for the final A level and GCSE specifications, all of the new GCSE themes cover aspects of the growing migrant crisis in various ways. Theme 1: identity and culture, Theme 2: local, national and international areas of interest and Theme 3 has a focus on current and future study and employment. Across Europe there is no doubt that dedicated teachers will be discussing the European situation with their classes. Can we use some headline news items in lessons to practise transcription and translation? Short, up to date, authentic texts are ideal. Even if we just focus on one phrase, pupils are exposed to a richer source of spoken and written material. The examination boards will shorten and adapt texts so as teachers preparing pupils for the rigours of the new GCSE we can start doing this. Have a look at the Promises of Peace competition. The deadline is 5th October. Language learners in any key stage are invited to create an individual poster on the theme of Peace. A couple of photos from the news would be enough to stimulate thought. If you scroll down to the bottom of this page from the website in Vienna, you will see poems in many different languages. The poster must include words in a language or languages other than English, and could include imagery relating to the ‘flame of peace’. The imagery could be an illustration or could be expressed, e.g. in a calligramme in the shape of a flame. These opportunities give our learners a chance to express themselves in the foreign language or languages they are learning and their mother tongue too. ← The origins of psychology.